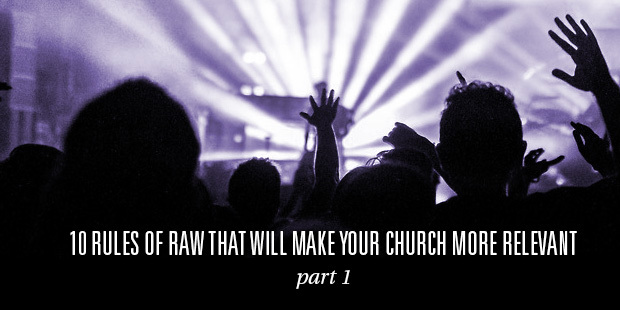 Raw is the best way to articulate the new relevance of church. Keep in mind that the term itself has varied definitions, most of which are helpful in describing mindset of church leaders that are better at reaching people in their 20s and 30s. For this post I will not reference demographics, but summarize the ambiance I see regularly in churches that have a stronger edge in attracting and sending younger leaders. To provide illustration, I will use a recent service I attended at The Austin Stone. If you haven’t noticed, it really doesn’t matter what your style is, it just matters that you are true to whoever you are. When that happens, the passion and the “being good at being you” factor, trumps genre. At Austin Stone for example, an African American worship leader led a primarily Anglo congregation. At one point we sang a hymn, at one point we screamed our heads off, chanting recently written worship choruses. Does “excellence” really matter anymore? In some ways yes and in other ways no. The basic expectations of our culture bring a “quality threshold” that a public gathering like a church should meet. But people don’t notice when you have it. It’s a permission-to-play thing; they only notice it when you don’t. What they do notice is the vulnerability of the leader. If he or she is refreshingly honest, there is respect and attraction. When Tyler David bookended his message with an illustration, it wasn’t just helpfully clear and it wasn’t just funny. It was revealing. He was willing to make fun of himself and that made a huge difference with his audience. When it came time for serious application of the text, sharing his own weakness was natural. The hunger for relationship and connection not only requires honestly but proximity and access. People want to be up-close with others. You can impress people from a distance but people don’t want to be just impressed, they want to be known. And they probably want you “closer” than you realize. At the Stone, platform leaders stayed around and mingled. 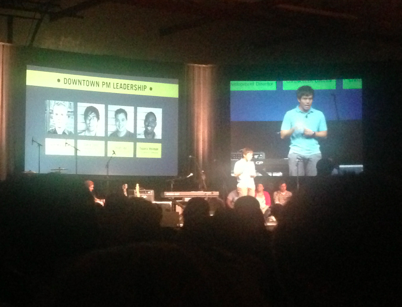 The put up slides to introduce their leadership- they wanted to be visible. The greeters were incredibly engaging. After-the-service opportunities to connect were very clear with people-savvy people “lining the way.” Albeit a large service (I am guess over 2,000), the environment invited people into relationship. The opportunity to be bold is related to the first three rules. So don’t try to be bold if your not being real. But when it comes to the overall tone of your organization and your leadership style, boldness is desirable. This is not the time, or the generation, to shield the truth about sin, or leave the benefits of the gospel understated. Don’t paint in muted colors; show more contrast and create higher definition in all you do. 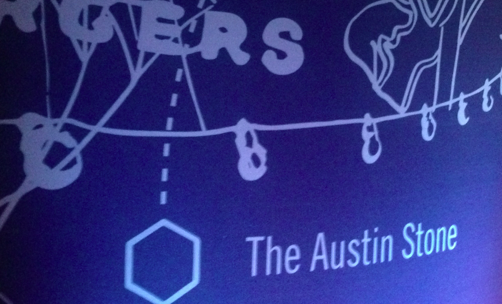 The message at Austin Stone had many short punchy statements that carried a boldness factor. The lyrics and the volume of worship could be described as bold. Perhaps the first bold impression is the name of the church itself. 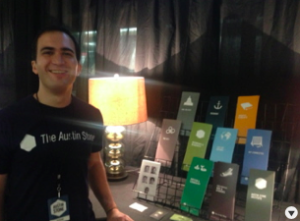 It is not “Austin Stone” it is, “The Austin Stone.” Does that sound too arrogant to you? Maybe it’s just being bold in a way that you’re not used to. – You can’t see God, you can’t see Jesus, you can’t see the Holy Spirit…What can you see if this Gospel is good? You see community. – It’s easy to think you are loving when everyone you love is like you. – Some communities simply feed our egos and hide our arrogance. – Without mission our communities turn our gifts on each other and nitpick in the name of holiness. Sometimes a go-for-the-throat style is more appreciated. Have you noticed this trend over the last few years? What’s the Difference Between Church Mission Statements and a Tagline? Are You Telling a Story with Your Church Logo?